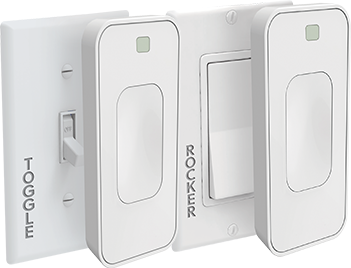 Keep All Existing Switches & Bulbs In Your Home! Lights turn on automatically when you enter rooms. 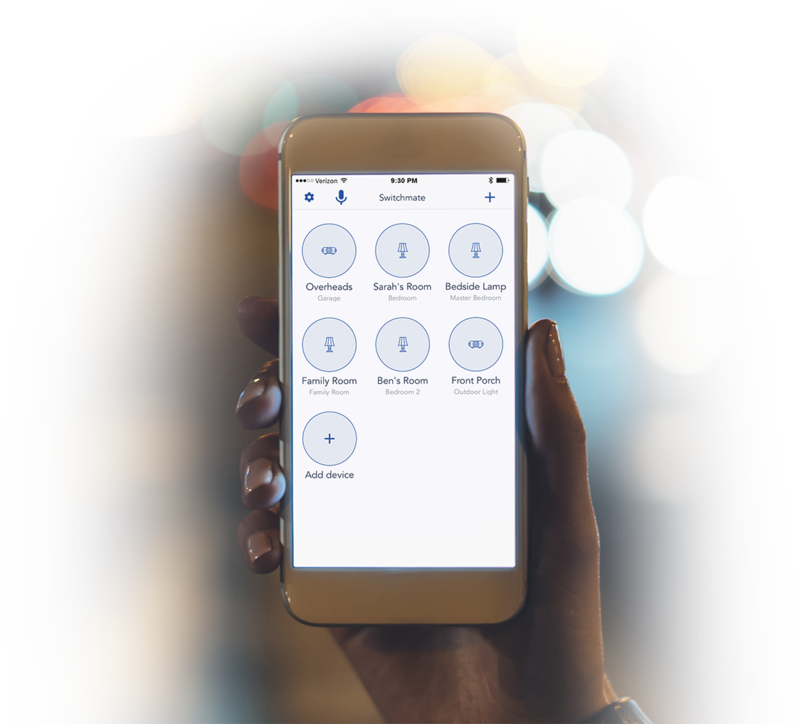 Turn lights on/off through voice commands. Control lights with 1 tap. Schedule your lights around daily routines or the sun. 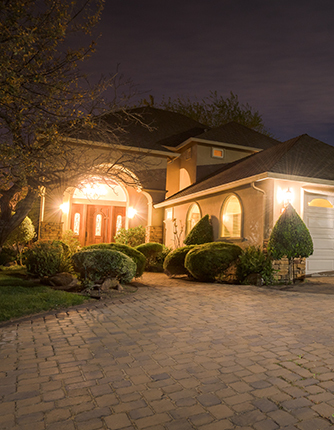 Lights turn on automatically as you arrive home for a warm welcome. Still control lights at the wall switch. Turn lights on/off by using your voice. Have lights turn on automatically when you arrive home. the sun for increased energy savings. Turn your lights off from the comfort of your own bed. Lights are in sync with your daily routines and the sun for increased energy savings. That’s what Switchmate is: a ridiculous yet surprisingly compelling way to put some basic automation into your lighting without having to actually rewire anything. It’s easy to install, and an inexpensive way to give you a taste of connected lighting without investing in actual smart light bulbs. Switchmate is a hardware product you can purchase with confidence that it won’t be stuffed in a closet within a week…it’s obvious that Switchmate is a win. I absolutely love that I don’t have to hire an electrician to install it, that the app pairs with the device via Bluetooth as quickly as I’ve ever seen a pairing happen, and that as I said above it just works properly right from the start with no installation whatsoever. 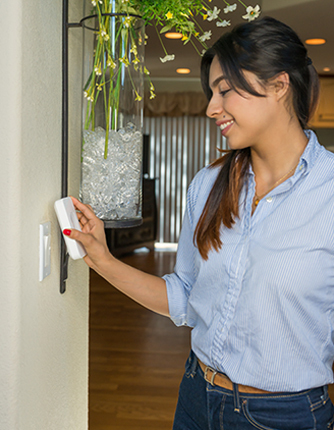 More companies that sell “smart home” products should take a lesson from Switchmate. I Just received my Switchmate it works great. 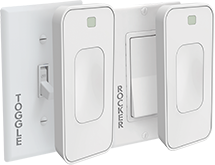 It allows me to control light switches in my house with my smart phone. 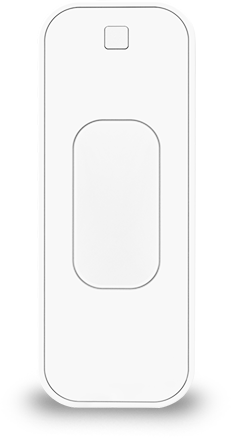 Switchmate is a wire-free smart light switch that fits over your existing light switch, enabling users to control the switch via the Switchmate companion app. How do I install Switchmate? Switchmate has strong magnets built inside that hold the light switch firmly in place over your existing switch plate. 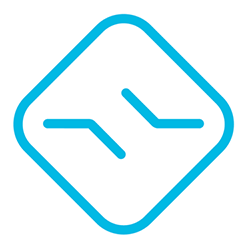 This mean you can install Switchmate in a snap, and also take it when you move or travel. How long will the Switchmate batteries last? The 2 AA batteries last 8-12 months.